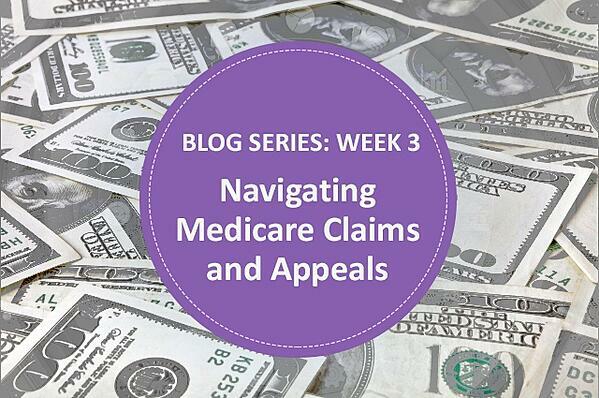 Thank you for joining us for week 3 in our “Navigating Medicare Claims and Appeals” blog series. Last week, we gave an overview of the Medicare Appeals process. This week, we will discuss the reasons for claim denials and what can be expected at the Redetermination level. An ideal scenario is to never have a claim denied, but if you ever find yourself in this situation, it's imperative that you fully understand the appeals process. There are steps you can take to minimize your risk for denied claims. First, you should clearly understand why the claim was denied, as well as the timeline you have to make an appeal. In continuing our discussion on the appeals process, let’s first review why a claim may be denied. The reason for a denial usually boils down to lack of medical necessity and failing to ensure solid, encompassing, and skilled documentation. Documentation should clearly show that the patient’s condition or the complexity of the services require the skills, knowledge, and judgment of the clinician. In other words, one common reason claims are denied is failure of the documentation to demonstrate skilled care. When an initial claim of determination is made and beneficiaries or providers dispute Medicare’s decision with coverage or payment, you have the right to appeal. There are five levels in the Medicare Appeals process. Today, we focus on the Redetermination level. A redetermination must be requested in writing. To ensure you are doing everything in your power to address the denial and facilitate a strong appeal, you have 120 days from the initial claim denial to file a Redetermination request. There are two ways to file for a redetermination. The provider can submit a request for a redetermination using Form CMS-20027 or by submitting a written request/letter. Note that all necessary documentation must be included to support the appeal. For more information about documentation, see the previous article in this series. Do you have a clear understanding of the documentation that should be included? It's important to make certain you are aware of the denied claim period and provide adequate documentation to support your case. Depending on which MAC made the denial, you will need to send your requests and supporting documentation to that specific contractor. For a list of all the MAC’s and jurisdictions, click here. Generally, a MAC will usually decide within 60 days if further appeals action will be needed. If so, the next step in the Medicare Appeals process is Reconsideration which will be discussed in our next series article. Are you concerned about denials? Do you feel your systems or processes are lacking and put you at risk for denials? Are you currently in the denial process and feeling lost? LW Consulting, Inc. can help reduce your risk and promote positive outcomes by guiding you through the appeals process.